The study in Korea, according to the National Competitiveness Report '2011 ' from IMD in Switzerland , and was on the competitiveness of the education of Korea 29 of 59 countries that were subjects of the study. 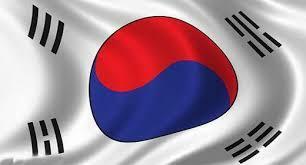 Korea ranked fourth in Asia after Singapore , Taiwan and Hong Kong , and higher than Japan and China. Also, research in the field of international comparison of academic achievements (PISA) by the Organization for Economic Cooperation and Development , Korea took the third place to sixth place in recent years between the 65 countries that were subjects of the study. In particular, Korea was the first place in the digital reading assessment of knowledge . Based on the competitiveness of this type of education , and Korea will be able to provide the highest level of educational services for students coming from abroad , in the case of access to any information please call or send questions .